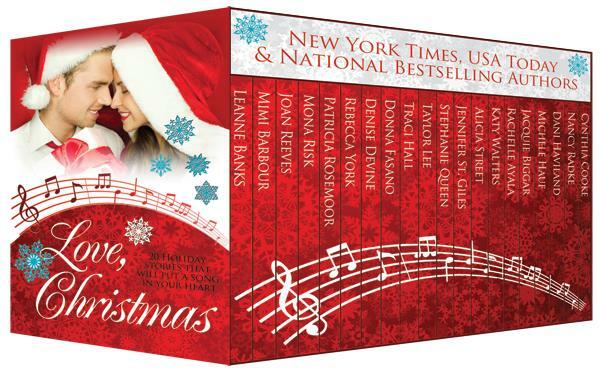 Holiday stories that will put a song in your heart! When hard-edged, Christmas cynic, Justin Dane Burgess encounters Christmas fan, Lilly Johansen, he doesn't know what to think. Can this Christmas cynic fall for the human equivalent of a Christmas angel? More importantly, can he be the man she needs? Heather and Jeff have always been in love. But to find herself pregnant now, at eighteen, before she starts college and he joins MIT for a master’s degree... Talk about the wrong time. Besides, the news might kill her father, who is battling cancer. The song "Do You Hear What I Hear?" was written as a plea for peace during the Cuban Missile Crisis in the middle of the Cold War. Now Christmas is just around the corner, and live-in-lovers Shelley and Jake are in a cold war of their own. Detective Shelley Caldwell has all wonderful memories of Christmas, while Jake DeAtley, born of a mother turned vampire while pregnant with him, has none. They’ve come to a compromise inthat she can decorate “her half” of every room, but no Christmas tree. Then a case of hit-and-run leaves a dead body and a magical Christmas tree that Shelley can’t resist bringing home, heating up the war between her and Jake. There is more to the tree than either knows. When they discover the truth about it, will it bring them together or keep them farther apart? The snow is coming down so fast, Amelia Parsons doesn't see the speeding car until it's too late. One moment she’s crossing an ice-rutted street in St. Stephens, Maryland. In the next, she's flying into the air, and the world goes black. She wakes, confused, in what appears to be Santa’s workshop during the holiday rush. If that’s not strange enough, a hunky FBI agent named Daniel is there, demanding to know why she’s involved in a plot to ruin Christmas. Can she convince him she's not the villain and then work with him to find the real saboteur? Will Gordon prevail and turn Holly into a Grinch, or will a sprinkling of Christmas magic show Gordon that there’s no fighting love, especially when it's wrapped up in a gorgeous red-headed package of jolly holly? Thank you for hosting the authors of Love, Christmas on your awesome blog today! 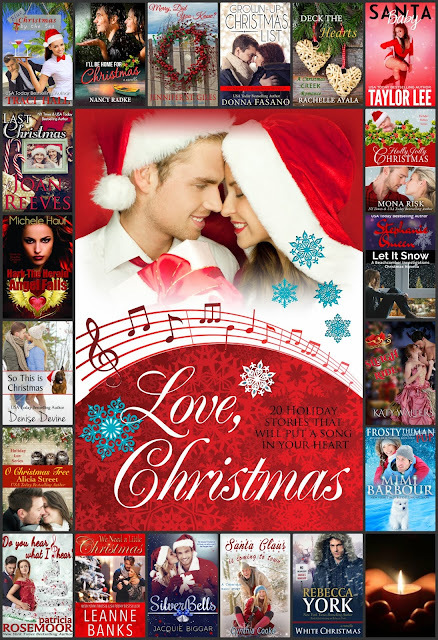 Susan, thank you so much for sharing our Love, Christmas Romance Collection. I really appreciate your support.